GK is used as a vehicle to build Curiosity. The focus is not on the facts per se. The topic is used to make the child wonder, Why did I not think about this? By participation and discussion, the interpretation and extension of the idea is developed. For example, the topic of Currency, in one of our Levels, is used to open the Child's mind to the fact that (a) different countries have different currencies; and (b) that they have a major and minor currency; and (c) that currencies have different values. The child is not expected to learn the currency names by rote or know their traded value. The learning truly happens when the child is able to extend this idea and enquires about currencies of other countries not covered in the session. Click on the other modules to know how the children are guided. We have used IQ as a way to sharpen the logical thinking in a Child. When they attempt various IQ problems their minds get tickled evaluating various options. Often, they do not see the obvious, and at times they are forced to take a few steps back and re-look at the problem. All this develops a sense of lateral thinking in them. To further enhance this capability, during the sessions, the children are asked to write (or to explain if they are too young) the logic of the solution and often challenged even if the solution is correct. Cracking a Puzzle(PZ) gives a big high to most children especially when they solve it!. It keeps them engrossed for hours and gets them fiercefully protective of the solution from their peers. 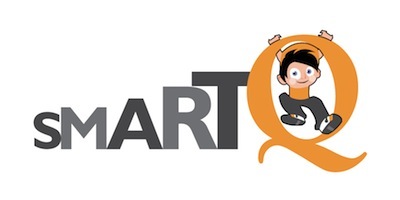 In SmartQ we have used popular puzzles such as, Mazes, Spot-Differences, Match-sticks, Sudoku, Magic Square, No-four-in-a-row, Easy-as-ABC, Alphabet-Connection, to build a Positive Competitive Spirit in a child. What gets discussed in the Sessions is not just the Solution but the Approach and Method of solving them. For example, the discussions could involve: which is the correct order when solving a complex Sudoku; or which area in a Star-Battle should first be tackled. Often, we have heard a young child say, See, how big he is; when (s)he possibly meant, See, how tall he is. The Vocabulary - VB - module is designed to make children aware of the use of appropriate words in a context. And how do we do it? By engaging them in various Word-games that stretch their minds to pick the right word. Besides this, during the SmartQ Sessions, each and every child attempts to use the words in a context via conversations.